Have your cheese... and eat it! 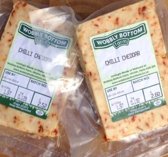 Take a look below at the mouthwatering range of cheeses available from Wobbly Bottom Farm. Full-bodied Cheddar cheese has always been complemented by the piquancy of preserved fruits or pickles. Chunks of fiery ginger root add a delicious kick to a mature, 20-month old cheddar cheese produced from cow’s milk and expertly blended at Wobbly Bottom Farm. The sharp flavor and moist, crumbly texture of Wensleydale is delicious when combined with the soft fruitiness of cranberries. This cheese is a dream when teamed up with the crisp saltiness of oat biscuits and a bunch of ripened black grapes. If you like your cheese with a little extra bite, try this rustic cheddar with ale and mustard, blended fresh on the farm. Containing real ale and the warming hit of mustard seeds, it’s the perfect ingredient for a ploughman’s lunch with a difference! A simple combination of creamy hard goat’s cheese and nettle leaf, with just a hint of garlic. 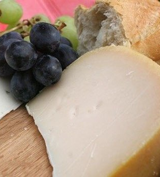 Try this fresh-tasting treat with a crusty baguette and a chilled glass of white. A surefire winner for a fast but delicious summer lunch! 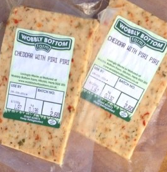 One of the signature cheeses from Wobbly Bottom Farm. This is a robust goat’s milk cheddar, matured for at least 12 months for a knock-out punch! Sharp and pungent, it’s delicious with a chunk of crusty bread, spring onions and a chilled mug of ale. Or try shaving it thinly over a rich, tomatoey pasta dish for a mouth-watering Mediterranean meltdown! 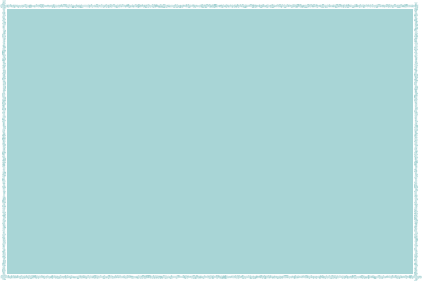 A hard goat’s cheese, full-bodied and nutty. Delicious with a salty-sweet digestive biscuit and freshly sliced apple or pear. Take a cow’s milk cheddar, marry it up with smouldering natural oak briquettes for 12 hours and the result is a distinctively smoky, full-bodied cheese that demands pride of place on any cheeseboard. A smooth, creamy cheddar cheese shot through with a warming hit of cracked black peppercorns. Try this speciality cheese crumbled over your favourite salad or melted in thick slices over a flame-grilled burger. The addition of ripe, red capsicum pepper gives this creamy cheese a more complex flavour and a hint of sweetness. Another rustic soft cheese that’s a perfect partner for fresh bread of any type. 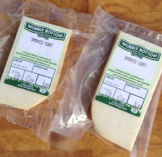 A simple, creamy and delicious soft goat’s cheese that’s about as traditional as you can get. This earthy staple has been enjoyed by people in Europe, the Middle East and North Africa for thousands of years. Try it with a hot crusty loaf or pitta bread and a handful of marinated olives. Simply… delicious. Like the plain goat’s cheese but with a pungent kick of roasted garlic. Comparable to some of the well-known French brands of soft, garlic cheese and once again, delicious with fresh crusty bread or melted on a flame-grilled burger for a bit of Gallic luxury. Soft creamy cheese mixed with freshly chopped chives is a timeless classic. Try this on fresh bread or melted onto a steaming-hot baked potato. for a wholesale price list. or email their order through to the farm and collect them during working hours between Monday-Friday. If you savour the distinctive ‘bite’ of mature cheddar and enjoy the fiery heat of chillies, this new cheese is the one for you. 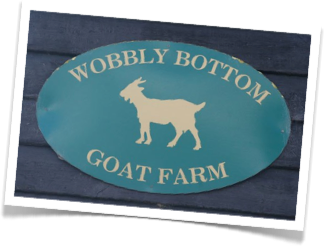 Blended at Wobbly Bottom Farm and matured for two full years, this cow’s milk creation will spice up your cheese board or when grated, is a terrific accompaniment to Mexican food. A 24 month matured cow’s milk cheddar that’s infused with delicious Piri Piri. Try this one melted over nachos with an ice-cold beer, or mix it with finely chopped onions, red peppers and coriander to make a red hot stuffing for chicken breasts. Also fantastic with oat biscuits and black grapes. A mouth-watering new take on our signature hard goat’s cheese. Natural oak briquettes and a tried and trusted smoking process produce a genuine winner for your dinner party cheese board. Creamy, smoky and delicious, try this one with a bunch of grapes... and a bunch of friends!